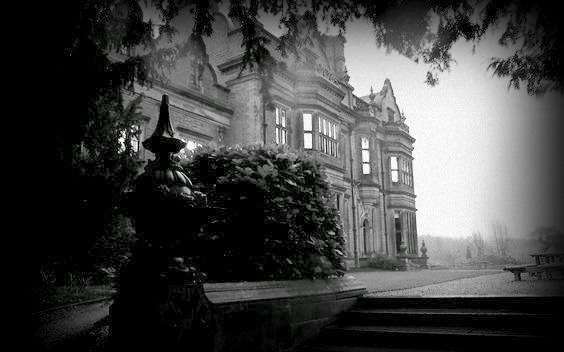 Join the Dusk Till Dawn Events team for a terrifying overnight ghost hunt at the reputedly haunted Beaumanor Hall, a Grade ll listed Victorian House in Leicestershire. Spend the night investigating the maze of dark and desolate cellars along with 2 floors of chilling attic rooms, where the servants that once worked here, slept in and resided. The present hall was built in 1842, although some of the areas within this impressive and atmospheric building, date right back to the 14th Century. Beaumanor Hall has a great historical past, designed and built by architect William Railton for the Herrick family, it remained as the family’s home until World War II when the estate was then requisitioned by the War Office. During the 2nd World War, the hall was used as a secret Military listening centre, with the rooms being used for training for the Civil Service, Merchant Navy, the Royal Corps of Signals, Royal Navy and Royal Air Force. The long and foreboding cellars were used as workshops for the electricians. Many of the areas remained occupied by various military personnel throughout the 2nd World War. Heavy doors with no one near them at the time, have been witnessed slamming shut, whilst in the attic, heavy booted footsteps have been heard walking the wooden floorboards, dark shadows have also been seen moving around in the darkness, along with foreboding feelings as if being watched by unseen energies in the many areas of the hall once night falls. Many visitors here have reported hearing strange voices, and whispered conversations whilst in the cellar area, this is not a place for the faint hearted make sure you have back up batteries for your torch! There are many areas to investigate inside this location and once lights are extinguished the place may come alive with the spirits who still roam here, will you be brave enough to explore the many rooms and discover who remains? If you choose the non-refundable deposit option, the final payment for this event will be required no later than the 25th September 2019. *If paying by Deposit please note the final payment for this event will be required no later than the 25th September 2019. Please be aware that due to the vast coverage of the building this night will not be suitable for those with mobility issues.